Today I spent more time than I'd like to admit to clearing out my home closet. It wasn't easy and it certainly wasn't made easier by the fact that I had a little golden fluff ball wanting to help me out at every turn. He'd offer to help carry a sweater or two out of the closet for me. By offer, I mean he'd grab a sweater and drag it out by the arms, running around the room and begging me to chase him. After a few holes in priceless designer pieces, this game came to an abrupt end. However, it ended in a way that saw Boomer distracted and my sweaters protected. 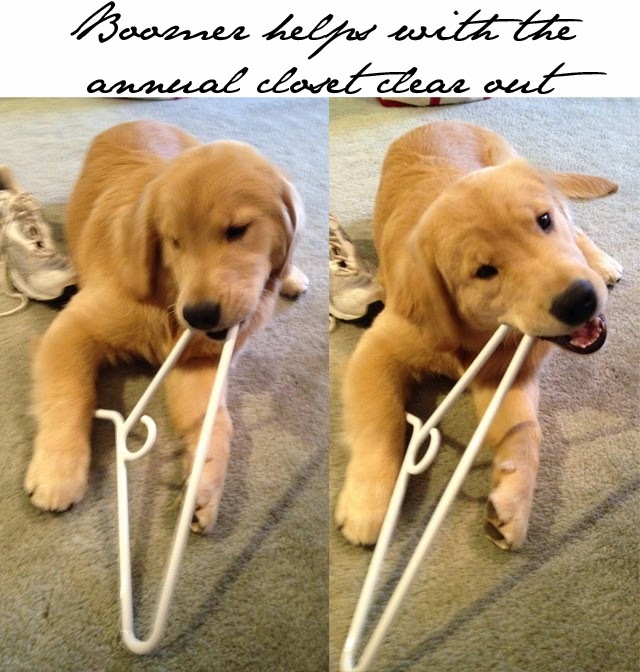 Boomer found that a plastic clothes hanger was much more fun to gnaw on. Thank heavens. Although, Boomer did do a good job of turning a rather boring sweater into a Wildfox Couture ripoff with all the new tears. 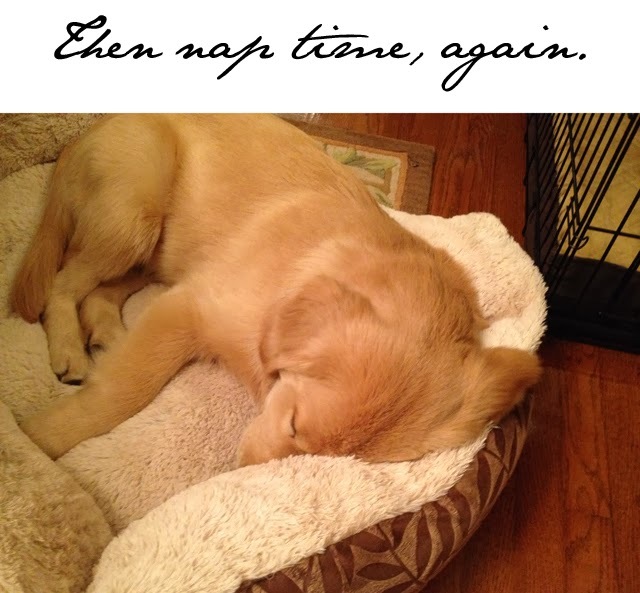 Well done, pupster!